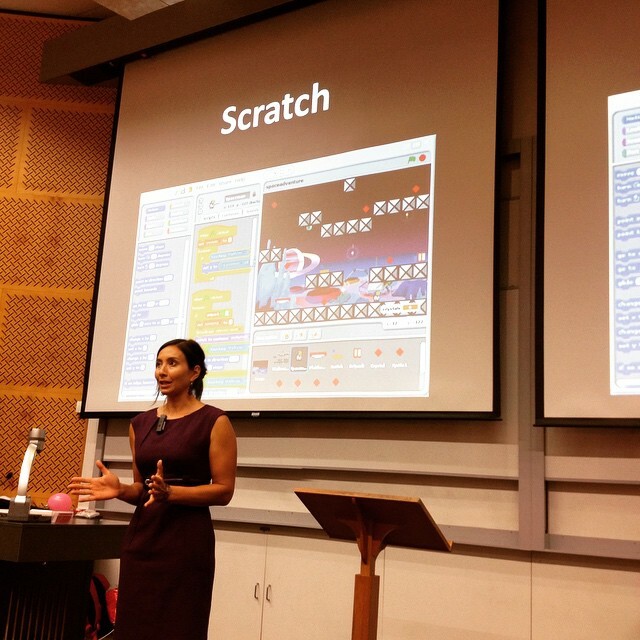 On Friday night (27.2.15), Tech Girls Are Superheroes launched at an awesome event at the University of Auckland New Zealand. We had more than 300 girls and their fabulous mums (and some cool dads too!) attend, not a spare seat in the auditorium! The event was organised by Dr. Alyona Medelyan, who runs STEAM ahead! This is their second event, and it was amazing by all accounts! Firstly, Alyona crowdfunded the event through PledgeMe (a NZ tech startup success) - so cool that everyone donated to fly Jewella over to present in person! Nearly $3000 was raised to run the event, more than the $2000 original goal. A number of sponsors set up a trade show and answered the girls and parents questions after the talks, and had fun goodies for the girls. All girls received free books and I was excited to present alongside Nanogirl, who is an inspiring superhero. 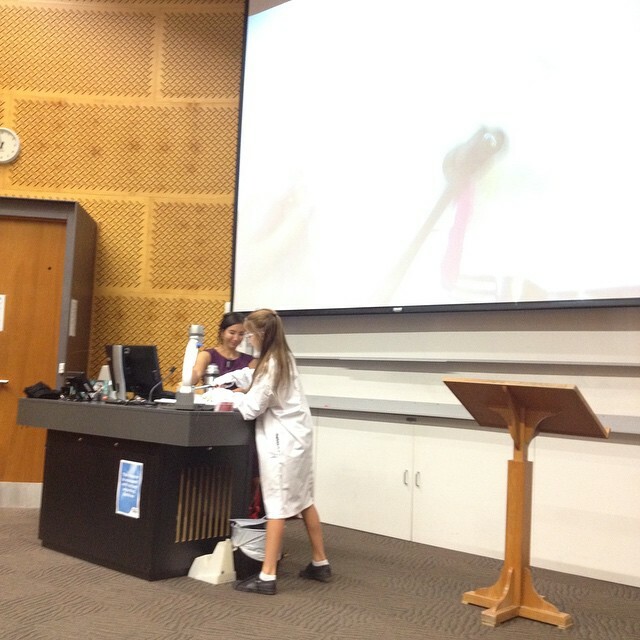 Nanogirl is a well-known and respected speaker on STEM in NZ and the girls were so happy to meet her in person :) If you haven't seen her in action, you're missing out. Watch her TEDx video here. Jewella presented up first. An obligatory selfie got us underway :) This was only 1/3 of the crowd! I talked about how we can change the world through technology, for instance through crisis crowdmapping. One important point of the night was that you can combine technology with almost any other area of passion that you have, like those featured in Tech Girs Are Superheroes. For instance, If (Jess) is designing a technology for young deaf children to learn how to sign. Scriptrix (Monica) has a background in Psychology and is now a game developer; this helps her better understand people in order to make games for them. NVisible (Prachi) runs clinical trials to help discover cures for diseases like cancer. Incognito (Kay) combine law and IT to help deal with emerging legal issues arising with new technologies. Dixi's (Katie) background in journalism makes her an excellent communicator as a software developer. Nanogirl had some great messages and engaged the excited crowd, and she even has a superhero shield that is 25 times stronger than steel - and he she made it herself!). As an engineer, she has an exciting career breaking stuff. Yes, really. 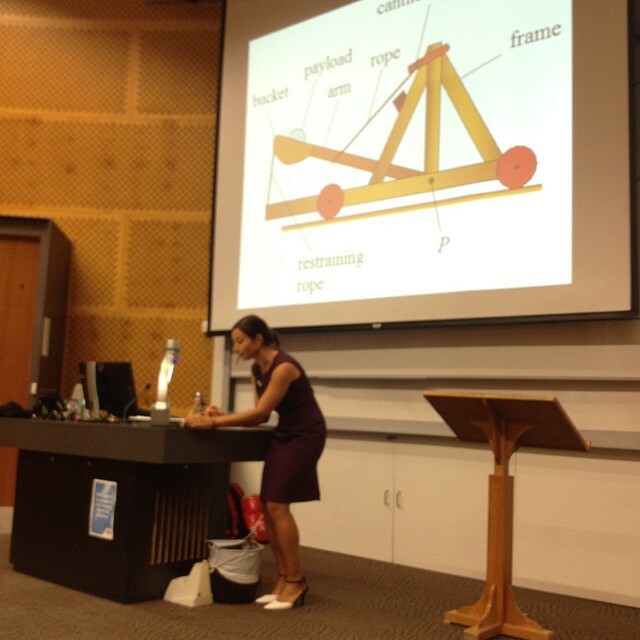 She encouraged girls to learn how to code with Scratch, created a catapult out of lollies and sticks and showed us how liquid nitrogen works. A volunteer from the crowd tackled a hammer, a lolly snake and the nitrogen and we had fun doing "dragon breath", where you eat popcorn covered liquid nitrogen and you steam out your nose like a dragon! This was a huge hit with the crowd (and all us #techgirls too! ).